For modern romantics and lovers of springtime, the THEIA enchanted bridal tiara combines old world charm with floral elements in a way that’s fresh, modern and utterly feminine. It’s the perfect piece for afternoon soirees, early evening receptions and garden nuptials. This floral bridal tiara epitomises a whimsical garden wedding, filled with wild flowers and delicate antique touches. We love a statement headpiece that’s bursting with delicate and refined details. The silver and ivory colour palette feels classic and sophisticated – the perfect colour combination for fashion-forward brides who’d like to pay tribute to age old traditions. A tiara or bridal crown doesn’t need to feel stiff or overly formal. This exquisite headpiece was designed for the romantics in mind – an effortless, feminine and whimsical piece that’s perfect to adorn anything from loose and natural hair to structured formal updos. Pair it with a lace wedding dress, modern gowns or soft and flowy silhouettes. We love to style a statement crown with off-the-shoulder dresses, cap sleeves and illusion necklines for a look that’s sophisticated with regal appeal. 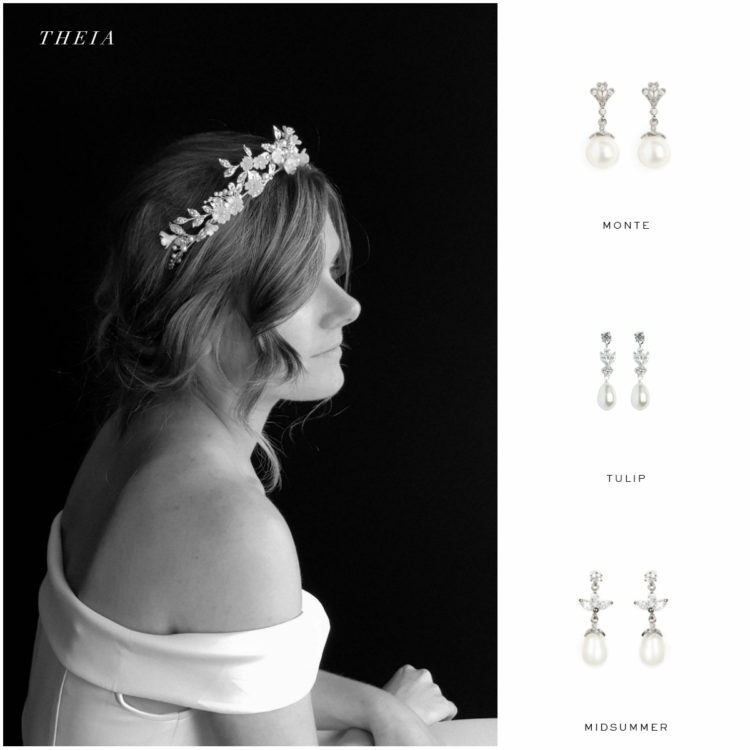 Our favourite jewellery pairings include the TULIP, MONTE and MIDSUMMER pearl drop sets. This statement crown is unashamedly feminine. It features handcrafted floral elements in various stages of bloom, Swarovski crystal elements and leaf motifs that weave along the hairline in way that’s organic and refined. Completely handcrafted from scratch, it’s completely customisable to suit your wedding dress and hairstyle. Get in touch and we can chat details about how this can be altered to suit you.